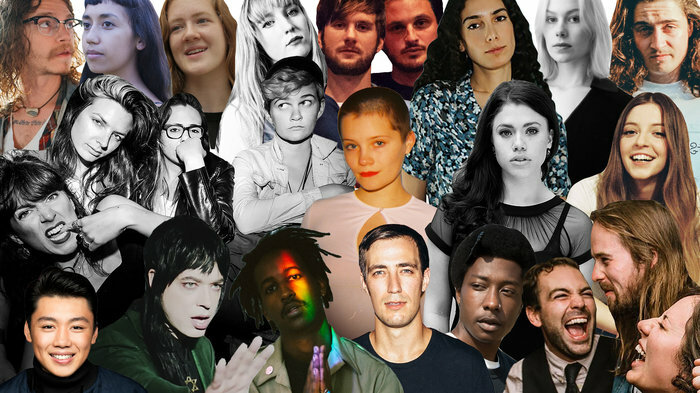 Some exceptional up-and-coming artists are coming to your radio waves, your music blogs — and to your own backyard. In 2017, NPR and VuHaus’ public radio network kicked off Slingshot — a collective effort among taste-making music stations (including yours truly) to elevate emerging artists, including Jamila Woods, Lo Moon and Big Thief. In terms of a moniker, Azniv Korkejian may just have nailed it. The Bedouin are a nomadic group of people of the Middle Eastern deserts, and though not a Bedouine herself, Korkejian is certainly no stranger to the wandering life. From Syria to Saudia Arabia, to Boston to Houston and finally to L.A., Korkejian has called many locations home. The wisdom she inevitably picked up during those travels is reflective in her touching lyrics and soft, but soulful, sound — something akin to sixties folk meets bossa nova meets ambient chill meets a voice you melt into. We can’t imagine a more perfect opener for José González this month. Phoebe Bridgers’ “Motion Sickness” has been in our heavy rotation lately — and we think with good reason. The California singer’s voice is powerfully quiet. And that combined with stony lyrical humor makes for one of those sweetly-sour listening experiences — one that leaves you feeling like you were both soothed and stung at the same time. Her Deep Ellum should be the perfect antidote to any post-holiday, wintry haze you may be experiencing. Beautiful, pure, unadulterated rock. That’s what comes to mind when you give Thunderpussy a spin. No surprise, really, considering the all-female quartet hails from the rock Mecca that is Seattle. Our musical sixth sense tells us their debut album — slated for this spring — will be one to remember, so keep an eye on your record store horizon. And should you find yourself in West Texas come spring, be a dear and stop by their El Paso show for us? We’ll be there in spirit. *This post will be updated as more shows are announced. Last update was on Tue, January 9.